A data breach of over 15 million people. Be careful who you trust! 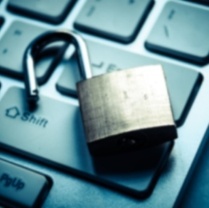 As a marketer, is data security at the front of your mind? Just last week, Experian revealed that 15 million T-Mobile customers and potential customers had their personal information stolen by hackers, including Social Security numbers, home addresses, birthdates and other personal information. With nearly 800 data breaches reported last year by US organisations, some may think that it only happens across the pond, but far from it. Examples of UK data breaches range from Moonpig this calendar year, Mumsnet last calendar year, Sony Playstation Network in 2011, and T-Mobile again in 2009. Not only this, but ThreatMetrix believes that UK businesses are currently being targeted more frequently than US counterparts. It has therefore never been more important to understand the importance of data security, especially with the change of rules under the Data Protection Act 1988, explained in our recent blog on the ISO27001 Certification. ISO27001 Certification is awarded if your organisation has a model for establishing, implementing, operating, monitoring, reviewing, maintaining and improving an information security management system.